1. Radio Flyer Trike. My Dad is getting Natalie this trike and I am so excited! I love that I can push her in it until she gets old enough to learn how to pedal. Baylee just learned how to ride her bike with training wheels well, so I see lots of walks with the girls on their bike and trike this spring! 3. Flappy the Elephant. My niece got Flappy for her first Christmas, and adores it, so I knew Natalie had to have one too. Santa brought her one for Christmas and she plays with him all the time. 4. Books. I love when my girls get books as gifts, I am a firm believer that kids can never have enough books! We are hoping to get "Flora and the Flamingo" for her birthday this year. I also have "The Very Hungry Caterpillar" and a farm animal "Play-a-Sound" book on her list. 5. Wooden Alphabet Puzzle. Babies this age love wooden toys, and this puzzle that is super cute and doubles as a way to teach the alphabet is a win-win in my book. 6. Security blanket. One-year-olds are finally ready to have a little something extra to snuggle in their crib, so a security blanket is a perfect gift that parents will love you for. Baylee slept with hers until she was a little over 3! 7. Stuffed animals. I'm not a huge stuffed animal fan, but my girls adore them, so of course, we have a ton. Sometimes, I can't help myself though, so I had to get Natalie this adorable pink flamingo to go with her "Natalie In Onederland" themed birthday party! Tell me what your favorite gifts for one-year-olds are and I will add them to the list! I can't believe my baby is almost 1! One of my biggest problems when trying to lose weight is my habit of munching on easy-to-grab food that isn't on the healthy side. As a busy stay-at-home mom, I often find myself eating grilled cheese sandwiches or dino nuggets with the kids, and I know I could be putting way better things inside my body. That's why I was so excited when I found the Real Good Foods company. They make frozen meals and snacks that are low in carbs, high in protein, grain free & gluten free to give people like me an easy way to make a smarter meal choice! The best part? Along with being able to order their food online, you can also pick it up at your local Walmart! So far, I have tried the cauliflower crust pizza and the chicken jalapeño poppers, and both were amazing! The pizza was quick and easy to bake in the oven, and came out so cheesy and delicious. The chicken poppers are the perfect snack or small lunch. I tried them both in the microwave and in the oven on different occasions. I definitely liked them out of the oven better, but both ways taste great! Dipping them in a little ranch was amazing too! 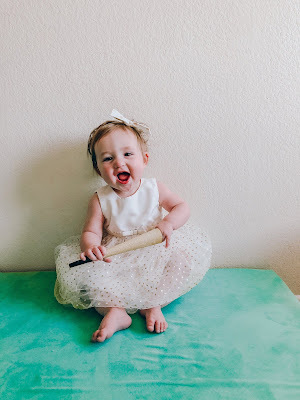 I am waist deep in 1st birthday party planning for my Peanut, and I can't even believe it! Seriously, this was the fastest year ever and it breaks my heart. 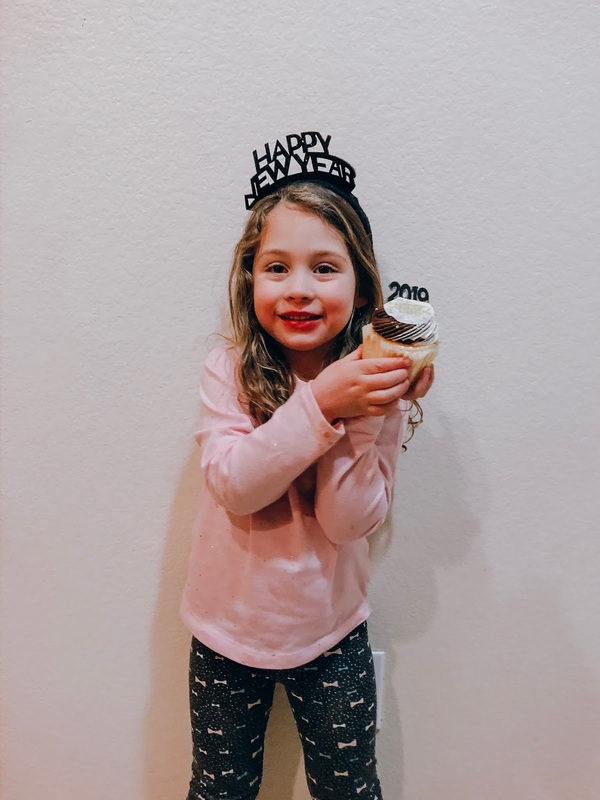 I love watching her become a toddler right before my eyes, but there's a part of me that sometimes aches to do this year over again. She's been the sweetest baby, and I will always miss her tiny snuggles and quiet mannerisms. Time, you thief, you. Teeth: 2! 1 fully in and 1 that just cut yesterday! Finally! Natalie got to celebrate her first Christmas this month, and as I recapped in my Christmas post, she had a blast! First Christmases are seriously the best! It's been so much fun watching her relationship with Baylee develop as she grows. They are starting to become best friends, and they want to be around each other all day. 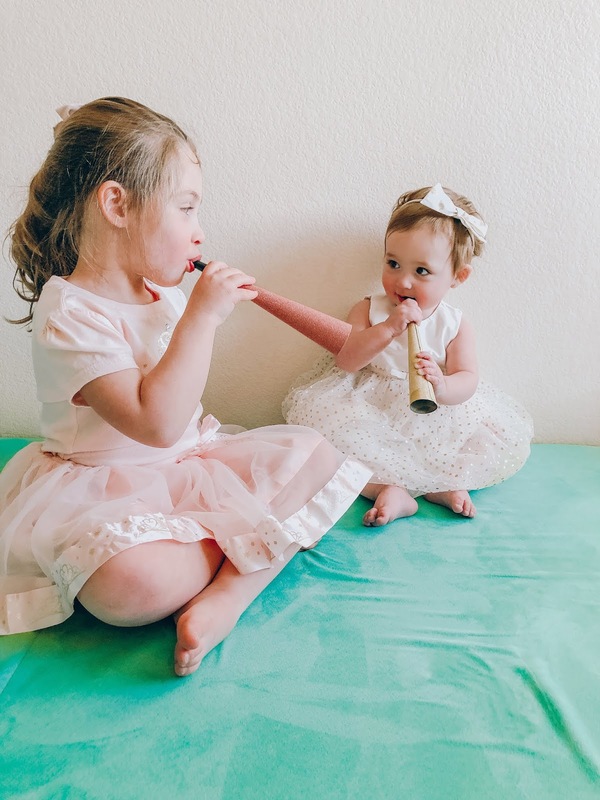 My Mama heart can't even handle what sweet sisters they are! 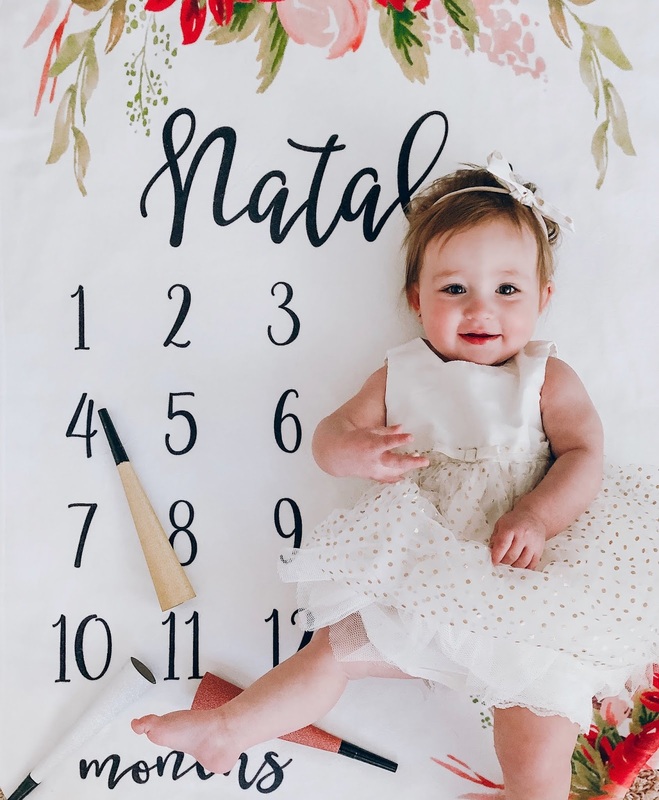 Oh, my Natty Lou, how are you going to be one?! Your love of the dogs water bowl runs deep, but not as deep as my love for you! I can't wait to celebrate your next month, my sweet baby! 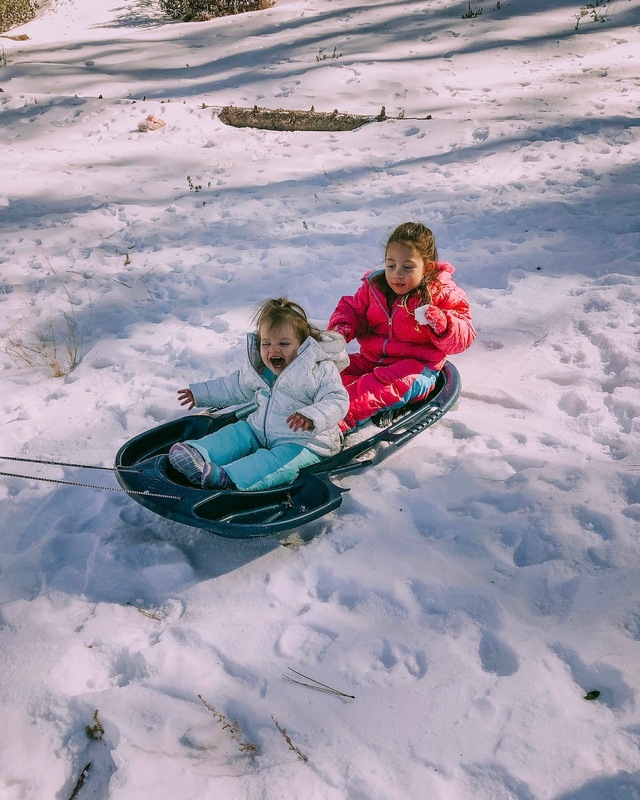 There wasn't a whole lot of fresh snow, so we didn't get to build a snowman, but it was just enough for some fun sledding! Baylee could not get enough. She is snow-obsessed just like her Daddy! (He used to be a ski instructor in the mountains where he grew up.) She is definitely ready to go skiing this winter. This was also a very special snow day, because it was Natalie's first time seeing snow ever! She was definitely interested and giggly...until she got cold, then she just wanted to be held. But just the pics of her in her little snow suit made the trip 100% worth it! 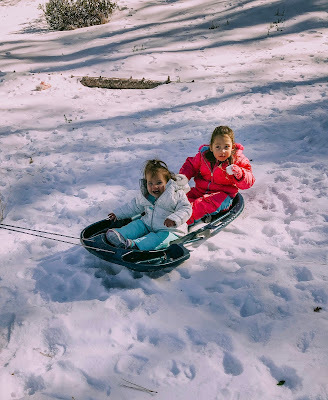 After snow play, we plopped the girls in their brand new wagon and went for a walk in the village to find some lunch before we headed back home. It was such a fun family day, and I'm so, so glad we got to do it! Love my girls so much! 1. To get organized. About a third of our stuff is still in boxes, because Christmas hit and I just kind of stopped unpacking. I want to fully unpack and get a system of making the house more organized as well as implement a cleaning schedule for myself. 3. To get my stress and anxiety under control. 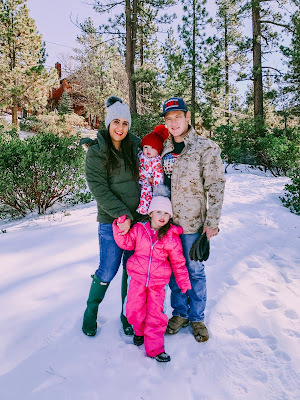 I had some postpartum anxiety and depression this year, and it seems to be getting much better, but I still have a lot of moments where I have to put on my essential oils and calm myself. I want to learn more about other oils and invest more in them, because I know they will help with prevention. 4. To be more present with my girls. It's been a rough year of being tired a lot and not always feeling like playing or going places with the girls, so I really want to change that. I'll have a blog post soon that will delve in to it more, but my goal is to become more of a "yes" mom instead of being a "no" mom so often. 5. To be a little selfish. I know this sounds so contradictory, but I tend to be a people pleaser and often forget to fill my own cup. In the end, this usually makes for a grumpy and worn out mama/wife, so I'm going to make a point to focus on my self care more than usual. It's all about balance. 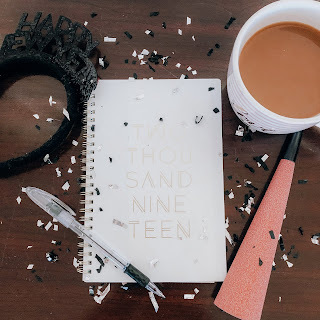 Leave your resolutions in the comments, I would love to read what you all have planned. 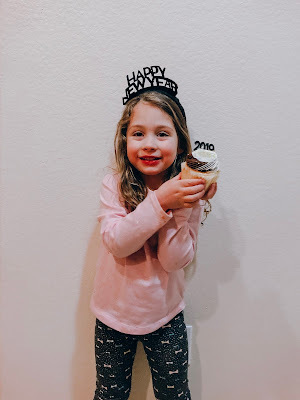 Let's make this the best year ever, friends!